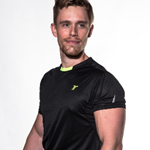 I have been Personal Training for six years and I’ve worked with a variety of fitness goals during this time. Whether you want to transform your body, improve your strength, recover from an injury or get rid of your mummy tummy, I can help you reach your goals. 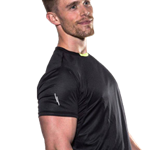 I have a degree in Fitness and Personal Training and that has given me a broad spectrum of teaching styles to apply to all types of training. started personal training with him." enjoy it, and look forward to the next sessions!"